Four items. 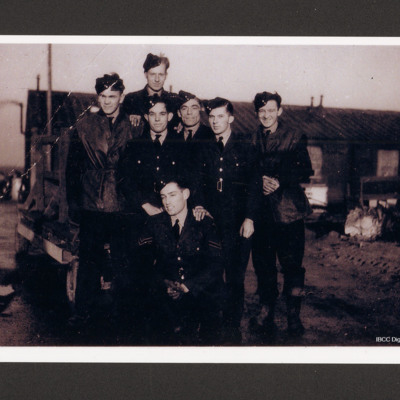 An oral history interview with Corporal Thomas Waller (- 2018, 1096366 Royal Air Force) a memoir and photographs. Tom Waller was a fitter/armourer with 138, 109 and 156 Squadrons and served at RAF Stradisall, RAF Wyton, RAF Warboys, and RAF Upward. The collection has been loaned to the IBCC Digital Archive for digitisation by Thomas Waller and catalogued by Nigel Huckins.